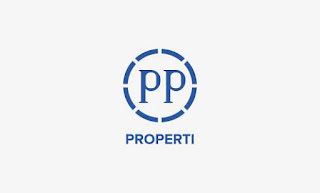 Lowongan Kerja PT PP Properti Pendidikan Minimal D3 - PT PP Properti Tbk didirikan Tahun 2013 sesuai Akta Pendirian Perseroan Terbatas No.18 tanggal 12 Desember 2013 dibuat dihadapan Ir. Nanette Cahyanie Handari Adi Warsito, S.H. 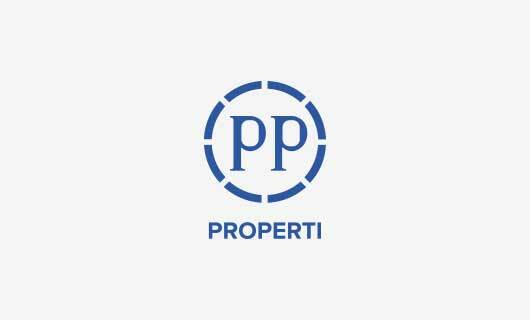 yang telah mendapat pengesahan dari Menteri Hukum dan Hak Asasi Manusia Nomor AHU-04852.AH.01.01.Tahun 2014 tanggal 5 Februari 2014 ("PP Properti") yang merupakan pemisahan divisi properti dari PT PP (Persero) Tbk yang telah ada sejak tahun 1991. Membuat analisa harga satuan untuk dasar negosiasi pada proses tender. Mempersiapkan data-data administrasi yang dibutuhkan sebelum proses tender. Menyiapan rencana pembayaran dan melakukan pembayaran terhadap pihak ketiga yang bekerja sama dengan pihak bank. Membantu Site Finance Manager membuat laporan kinerja bulanan. Memahami peraturan perpajakan yang terkait dengan bisnis property. Melakukan pendaftaran NPWP, PKP proyek property. Menentukan pengelompokan pajak PPH atas transasksi di proyek. Membuat SSP dan melakukan pembayaran pajak. Memastikan mitra melakukan pembayaran pajak. Bekerja sama dengan legal dalam pengurusan akad kredit dalam hal PPH jual beli"
Mengkomunikasikan dan memastikan konsep dengan konsultan dan bertanggung jawab atas konsep development design yang dibuat. Berkoordinasi dengan PD, PM, VP, konsultan dan pelaksana sebagai pengawas jalannya proses design/pengerjaan di lapangan - Menguasai material dari desain yang dibuatnya. - Mampu merancang desain interior untuk menarik minat pembeli. Latar belakang pendidikan min. S1 di Universitas terkemuka, jurusan Arsitektur, min. IPK 3.00 dari 4.00. Memiliki kemampuan mengoperasikan Ms. Office, Autocad, Sketch Up, Photoshop dan segala program lainnya yang mendukung pekerjaan. Diutamakan memiliki pengalaman dalam mendesain High Rise Building. To do the inspection of quality implementation in the site. To make reports on quality evaluation and present them on weekly project meeting and submit them to the QSHE Manager. To assist the quality planning in the projects including checking specs and drawings. To review all quality control documentation for the submission and completion. To ensure all non-conformance (NCP) are correctly "closed out". Actively promote the quality culture within the projects. To ensure that quality boards and notices are displayed throughout the projects. To ensure the quaity training are conducted on sites. Minimum education background is Bachelor Degree at reputable university, majoring in civil engineer, minimum GPA is 3.00 of 4.00. Have an experience in the same / similar job (min. 1 years). Fresh Graduate are welcome to apply. Have an ability in using Ms. Office program. Have a good presentation skill (with or without powerpoint). Coordinates and advises the Project Manager in all matters pertaining to SHE including legal and owner requirements. Ensures all incidents are investigated and the root cause is identified plus incident reports are forwarded to the Safety Manager as per the internal procedures. Ensures the Contractors have completed the Risk Register during Tender and before mobilization phase and that they update throughout the operational phase. Ensures that legal and owner requirements are incorporated within the contractors Project Specific SHE Management System. Ensures corrective and preventative actions are in place throughout the workplace. Recording of Weekly safety Minutes-of-meeting as secretary and ensures all items for action are closed within the specified time period. Ensures emergency procedures are in place for offices, stores, camp facilities, site etc. and the procedures are maintained and reviewed as required. Reviews and inspects with the project SHE Officers to ensure conformance to all matters pertaining to SHE. Actively promotes a positive healthy safety culture within the project. Attends kick off meetings with new contractors/subcontractors. Reviews Safety Standards, Safety Procedures and Work Instructions for the site and oversees the contractor’s teams in the implementation of it. Ensures that all staff are trained and aware of these procedures and processes. When required, complete awareness training for contractors. Liaises with the contractors to ensure all non conformances are closed within the specified period. Attends all arranged safety inspections with the contractors. Ensures that all contractor staff are adequately trained and identifies the need for training if required. Oversee evacuation simulations, first aid toolbox talks, safety talks, AND report any deficiencies. Minimum education background is Bachelor Degree at reputable university, majoring in healthy and safety discipline, minimum GPA is 3.00 of 4.00. Minimum Ahli Muda, AK3 Konstruksi . Menangani dan menghadapi masalah hukum dengan pihak lain. Menciptakan dan menerapkan inovasi konstruksi sesuai dengan "tagline - BEYOND SPACE"
Demikian informasi lowongan kerja hari ini dari berdasi.com mengenai Lowongan Kerja PT PP Properti Pendidikan Minimal D3. info lowongan kerja ini kami lansir dari situs lowongan kerja resmi perusahaan. semoga lowongan ini sesuai dengan pekerjaan yang anda impikan.